The definition of success is different for everyone, but the common theme is that everyone aspires for an amazing career that provides exceptional growth. However, only some people make it to the top, some sink and others remain mediocre throughout. Why is it so? The solution to this question lies in this question, how many of us are constantly trying to be out of the comfort zone and trying to bring “that” extra something to the table? Not many! Most of us like to remain in our comfort zones and are not trying to evolve with the changing times. 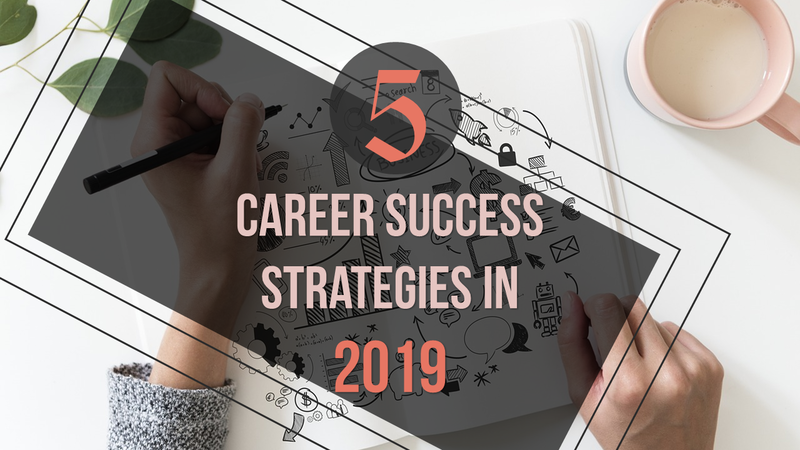 In my experience, I have collated a few strategies to have a successful career. In times like today, it is critical to building up a career persona that would provide a real, authentic and transparent image modeling your true self. Consider the following statistics before you try to work on your personal brand. 70% of employers are using social media to screen candidates. 34% of the employers are trying to see what others have to say online about the candidate.candidates. 27-31% of the candidates are leaving a bad impression due to their derogatory comments related to race, gender, religion, previous company/colleagues, online. Discover your identity and define who you are. Know yourself a complete 360 degrees. Understand your thought processes, strengths, and emotions that might either get you going on full throttle or get you stuck. Define your aspirations, both personal and professional, try to build credibility around them. Example — If your goal is to be a software engineer, showcase your unique pieces of code, how you solve problems and write content around the different creative ideas you have. Develop a plan to create your brand and build up the audience. Create a profile and a persona and start to expand to different social channels. I also recommend a short video, as it can capture all your facial cues, voice tone, and body language, bring more authenticity to you as a brand. Remember, the more you work on building your brand, its integrity and the trust factor will improve. Every resume paints a portrait with the paints you provide. Hence, it is important that you use the right colors in the right tone to skyrocket your career. Though the first impression may not be the last impression, it makes a lasting impact. Thus, it is critical that you pay utmost attention to the header and the email address in the resume which can captivate or dilute attention. For example — gladiator46663@hotmail.com isn’t going to cut many cakes. Even your name which is common like John, you might end up with john123456@gmail.com is not going to look very professional. The best way to go is with a stimulating email address with your personalized domain. Never use nicknames or get connected to an ISP in your professional email address. As in every aspect of modern technology, personalization is the key to success. Hence, even the resume is to be personalized as per requirements and not generalized for an industry. Keep the resume focused on the needs of the audience. This is the age of keywords, so leave out ‘the more the content, the better’. Stay crisp, clear and to the point. People do not have time to go through all your content, so use as many keywords as possible and use hyperlinks to direct recruiters/managers in the right direction. Storytelling has always been one of the most creative ways to put forth one’s idea. Just imagine, wouldn’t a spellbinding narrative be great which would make the recruiter not leave the resume. And moreover, this is the latest trend attracting more and more recruiters looking out for a compelling career narrative. There are different ways of storytelling depending on your objective and audience. Communicating past experiences along with the timeline have become quite a stale way of communicating one’s career trajectory. In this digital era, you need to connect your resume to all your profiles, personal or professional. But giving out all your profiles separately or filling your resume with hyperlinks is not the way to go. Remember that nobody likes a narcissist and the same goes for a resume. The one which is filled with only self-boasting and accomplishments that do not have any credibility hardly holds anybody’s attention. One needs to weave an alluring content which can connect and represent the actual YOU. Storytelling is also extremely helpful and informative for people who have gaps in their career timeline. For example, we have new mothers or other caretakers who take a genuine break from their career. Such folks should use storytelling to narrate their profile indicating that they were not employed but took a break for a solid reason. For many, networking is just about attending events and making random acquaintances who might help in their job search. Sorry! This is not what networking is about. And this is not the way how networking should be done. Yes, networking is great for job opportunities, but it also helps in career success. It helps one to be abreast of the latest technologies and trends easily. And one should always remember while networking that one must see what we can do for them and not what they can do for us. Never waste their time and stick to the facts. Communicate specifically and knowledgeably like an executive. Never mistake an impromptu conversation for a casual meet. Never ask for a job opportunity or recommendation on the first meet. Sending an add request on LinkedIn with the default message without any personal note. Use the ‘name’ when in a direct conversation than referring as ‘sir’. These are some of the fool-proof methods which can impact your career in the long run. Finally, networking should always be remembered as a ‘reciprocal’ relationship. In this fast-paced technological world, change is the only thing which is constant. And when an employee resists change or does not adapt as per the ever-evolving industry, it’s the layoff which gets constant in one’s career profile. Keep up with the latest industry news — Though, it isn’t easy to stay up-to-date in an industry which is constantly shifting, it is essential to know the industry’s latest trends, challenges, and requirements other than the regular work details. Real time Experience — Get hands-on with the tools/applications which your company uses, though you might not have to work on it daily. Attend trade shows and seminars related to your discipline —Listening to experts is an easier and efficient way to learn and focus in a specific direction. Tradeshows also help you to the network. Focus on your communication —Communication skills will always remain imperative in the globalized workplace environment. It helps you to speak, write and express in a precise and efficient way. Moreover, the best way to stay relevant in the industry is to be a lifelong learner. As mentioned, in this ever-growing technological world at rocket speed, things keep changing for the betterment of mankind. In such a world, the folks who will win are the ones who are open to change. This post was written by Asokan Ashok, the CEO of UnfoldLabs. Ashok is an expert in driving customer insights into thriving businesses and commercializing products for scale. As a leading strategist in the technology industry, he is great at recommending strategies to address technology & market trends. Highly analytical and an industry visionary, Ashok is a sought after global high-tech industry thought leader and trusted strategic advisor by companies. Entrepreneur. Inventor. Product Ideation. Strategist. Visionary. Evangelist. Architect.